This level have have 9 jellies in meringue blocks plus 4 are out of candy board and out of two have timer bomb. 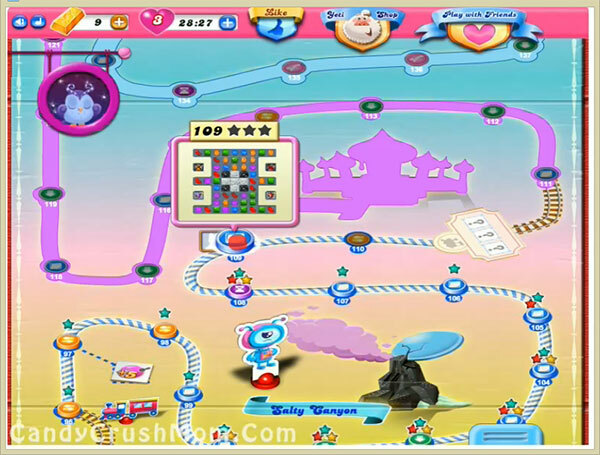 To complete this level you need to first break timer bombs that are in jellies that need striped candy. You should try to play beside bomb and try to make striped candy or colorbomb. Break striped candy as soon as possible or try to combine it with colorbomb to break all jellies that are in grill or with timer bomb. We completed this level with 135760 score by using striped candy within 24 moves and rest moves converted to bonus fist booster that help to add some score on board.